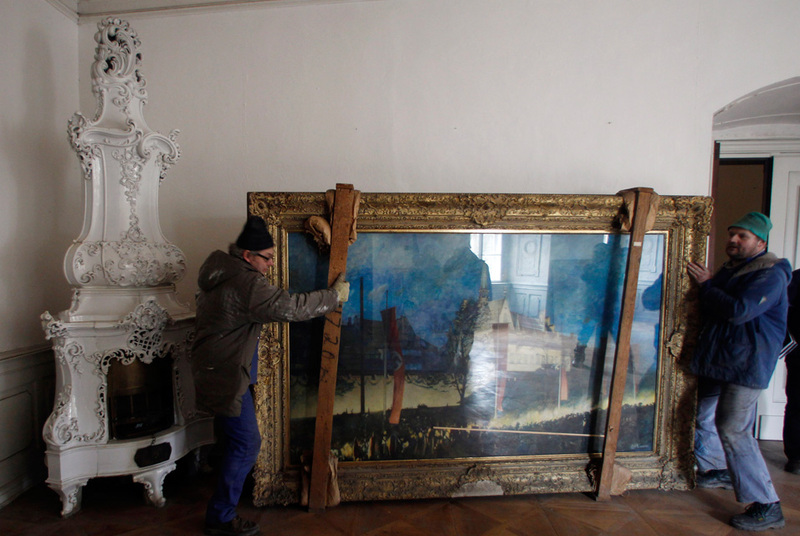 The art works, which Hitler bought in Germany during World War II, had been moved to Czechoslovakia after it was occupied by the Nazis to prevent them being damaged by Allied attacks. On Monday, author Jiri Kuchar put seven of the paintings on display for reporters at the convent in Doksany in northern Czech Republic where he had identified them. Today, he said, they are probably worth about 50 million koruna ($2.7 million). “Nobody believed me it could be true,” Kuchar said of his findings. The author, who calls himself “an amateur and enthusiast,” has written about his findings. Kuchar said Hitler bought the 16 paintings _ by German artists such as Franz Eichhorst, Paul Herrmann, Sepp Hilz, Friedrich W. Kalb, Oscar Oestreicher, Edmund Steppes and Armin Reumann _ in 1942 and 1943 at the Great German art exhibitions that were held annually in Munich from 1937 to 1944. The German institute whose database includes the works and their buyers _ Zentralinstitut fur Kunstgeschichte in Munich _ confirmed Hitler’s ownership to The Associated Press. Its art experts said Tuesday that while “interesting,” the collection is of “low” value. As a former artist, Hitler was an art lover and collector. Countless paintings, many done by major European painters, were seized by the Nazis during the Second World War. At one point, Hitler’s private collection, known as the “Linz Collection,” included almost 5,000 works, and the Nazis had once planned to create a museum for them in Linz, Austria. In addition to the seven works identified at the convent, Kuchar found seven more that Hitler had once owned at the northern Czech chateau of Zakupy, and one each at the Military History Institute in Prague and the Faculty of Law of Charles University in Prague. Some contain obvious signs of Nazi propaganda, the author said. James Johnson is the kind of historian who wants to get inside people’s heads. In his 1996 book Listening in Paris: A Cultural History, the College of Arts & Sciences associate professor of history, explored what it was like for people 200 years ago to attend concerts and how they experienced music differently from modern audiences. His newest book, Venice Incognito: Masks in the Serene Republic (University of California Press, 2011), investigates the subject of identity by focusing on the role that masks played in 18th-century Venice. Why focus on mask-wearing as a way to research people’s ideas of self? Johnson, winner of a 1996 Metcalf Award, one of the University’s highest teaching honors, reasoned that uncovering why people disguised themselves in the past might reveal how they thought about identity. As he writes in the preface to Venice Incognito, he was drawn naturally to Venice, where the tradition of masking dates back to the 13th-century. The city’s history of mask-wearing continues today with Carnevale, the annual festival that begins 58 days before Easter and concludes today, Shrove Tuesday, also known as Fat Tuesday, the last day before Lent. Modern Carnevale revelers don masks largely for celebratory reasons. But as Johnson found through his research, the 18th-century masks themselves, and the reasons people wore them then, bear little resemblance to the feathered, sequined versions you see on partiers parading through the streets of Venice today. BU Today spoke to Johnson about his research and his book, which recently won the 2011 George Mosse Prize from the American Historical Association. BU Today: What surprised you most in your research? An expert in ancient art who has overseen museums in England, the U.S. and his native Australia was named Tuesday to head the J. Paul Getty Museum in Los Angeles. Getty officials said Timothy Potts, director of the Fitzwilliam Museum in Cambridge, England, will take over Sept. 1. Potts takes over two huge, architecturally impressive museum campuses, one at The Getty Center in the hills overlooking Los Angeles and the other at the Getty Villa, in the hills above Malibu. The Getty Center campus is known for its extensive collection of European paintings, drawings and sculpture, American photographs and other pieces, while the Getty Villa campus hold an extensive collection of Greek, Roman and Etruscan antiquities, including more than 1,200 on view. AXA ART, an art-led insurance company, is offering a substantial reward for the safe recovery of two small-scale archaeological fragments — an Assyrian low relief and a marble head dating from the Roman Empire — that were stolen from the Montreal Museum of Fine Arts in the fall of 2011. A thief snatched two archaeological pieces worth hundreds of thousands of dollars from the Montreal Museum of Fine Arts last October during opening hours, steps from security guards. The theft is only the second heist in the MMFA’s 152-year history and the incident is testing the facility’s policy of not encasing many of its items as well as the decades-long bond of trust it has with visitors – now numbering 500,000 a year. A Persian sandstone bas-relief and a marble head dating from the Roman Empire were taken from the Mediterranean archeological exhibit room on the first floor of the Hornstein Pavilion on or about Oct. 26. The theft wasn’t made public until now so as not to compromise the investigation, the MMFA said. Montreal police said Tuesday the investigation is continuing. One suspect – believed to be in his 30s and 5-feet, 7-inches tall – can be seen wandering the museum halls in surveillance video. The Persian piece – donated to the MMFA by Cleveland Morgan in 1950 – is worth “hundreds of thousands of dollars,” said Mark Dalrymple, representing AXA Art, a global insurance company insuring the items for the Montreal museum. The second piece – on loan since 2003 from the Musée national des beaux-arts du Québec – is worth “tens of thousands,” Dalrymple said. “We’re interested in seeing if anybody could possibly recognize this man and point the finger at him and help the police,” he said about the security video. The insurance company is offering a “substantial” reward for the return of the stolen objects and a $10,000 reward for anyone who can identify the suspect. Danielle Champagne, a spokesperson for the MMFA, said security has been tightened in some areas of the museum since the theft. But the museum does not plan any major changes to its policy of keeping many of its objects in open-air displays – anchored or attached, but not in cases – “so people get a better sense of the texture of the objects. “We are blessed to live in a country where people are generally honest and we’ve had very few problems,” she added. The only other theft at the museum was in 1972, when 18 paintings were stolen, including a Rembrandt. Only one of the paintings was recovered. Cecily Hilsdale, a professor of art history at McGill University, said the Persian object’s theft is “huge” news in the art world. The piece was part of the Apadana, a grand audience hall in Persepolis, the ancient city centre of the Persian empire. The object is well-known, she added. Anyone purchasing it would lprobably want to know where it came from. Anyone with information about the theft is urged to call police at 1-800-659-4264 or the Montreal Museum of Fine Arts at 1-855-471-1800. Ogbechie catalogs the private collection owned by Femi Akinsanya. With a new book that formalizes and interprets a collection of indigenous African art owned by an African collector, Sylvester Okwunodu Ogbechie, a professor of history of art and architecture at UC Santa Barbara, is changing the way African art is regarded and valued. 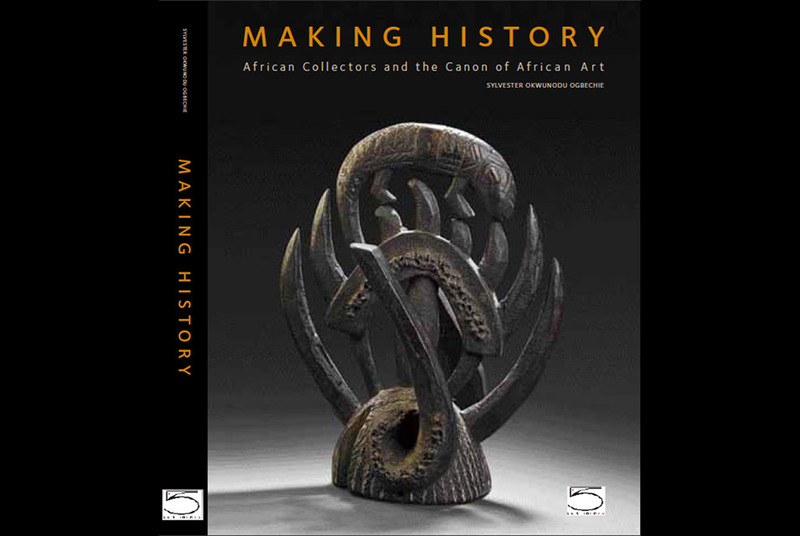 In “Making History: African Collectors and the Canon of African Art” (Milan: 5 Continents Editions, 2012 distributed by Harry N. Abrams, Inc.), Ogbechie catalogs the private collection owned by Femi Akinsanya. Located in Lagos, Nigeria, the collection features 740 pieces, including artworks that originated in Yoruba, Igbo, Urhobo, Cross River, Benin, and the Benue River Valley cultures of Nigeria. The book is published in English and French editions. According to Ogbechie, the protocols of authenticating artworks as original have less to do with the history of the works in their indigenous contexts, than with their provenance –– the documentation of the works after they have become part of a collection. Publishing a book like “Making History” is the first step in elevating African artworks held by African collectors from generic objects to works of art that have measurable economic value. DETAILED: The four volumes of Visual Century contain a polyvocal history of South African art that includes healthy disagreements between contributors. IN OUR era of e-readers and tablets, the prevailing wisdom is that printed books are destined to become moribund. At best, they’ll be quirky relics of centuries gone by that are kept for the sake of nostalgia; at worst, clunky tomes chucked into the recycling bin of history. Those of us inclined to pontificate about the talismanic qualities of hard copy tend to come across as reactionaries, Luddites or even anti-environmentalists. But there’s one kind of publication Kindle and company rarely do justice to: the “art book”. Whether it’s a coffee-table exhibition catalogue, an artist’s portfolio or a text-and image-rich art history, the art book needs to be handled, fondled and otherwise physically browsed, perused, paged through, scanned or mulled over. Often the choice of packaging, binding, paper and printing technique is as much a part of the reading experience as the content and layout. SA has a particularly curious mixture of readers with divergent means and preferences; for now, the printed word is still able to vie with the electronic word. Local publishers have tried to win customers through sexed-up genre fiction (bulky “airport thrillers” and “beach reads”), SMS novels for teens, books with multimedia tie-ins and various other initiatives. Critics have pointed out that sloppy editing practices have crept in as books have been rushed to print. Art books, on the other hand, are promoted according to a distinct model. They are niche publications, often produced in limited editions and typically quite expensive: their publishers target buyers who value books as objects or as works of art in themselves. While there may be cause to fret about the future of publishing, digital or otherwise, an encounter with a high-quality South African art book (and there are many of them) is likely to leave the reader feeling more than sanguine. Early last year, at about the same time that TJ/Double Negative — a remarkable collaboration between photographer David Goldblatt and novelist Ivan Vladislavic — won the prestigious Kraszna-Krausz award, FourthWall Books published Fire Walker, a striking collection of images and essays relating to the now-iconic Johannesburg sculpture by William Kentridge and Gerhard Marx. Then, late last year, Wits University Press launched the four-volume Visual Century: South African Art in Context. Each of these publications is significant in its own way. While the former two are idiosyncratic commentaries on specific works, the latter is a compendious survey. A book such as Fire Walker can pay attention to the minute details of artistic conception and execution; its editors and contributors engage variously (and in various modes or formats, by turns textual and visual, “academic” and “creative”) with the sculpture alone, with comparable public artworks, or with directly related aspects of city space and urban planning. The many participants in the Visual Century project, under director Gavin Jantjes, have tackled a different task. While the four volumes are not reference books per se, they do offer an overview of South African art (from 1907-2007). This is huge terrain to cover and the authors do so admirably, presenting art and artists not simply within set periods but also through key themes. Nonetheless, like most expansive art history endeavours, it cannot afford the luxury of particularity: artist biographies, the nuances of method, questions of form and even, to an extent, formal analysis are all secondary concerns. Instead, the imperative driving the book — as indicated in the subtitle — is “context”, which means national (and sometimes international) sociopolitical context. In his general introduction, Jantjes writes of the history of SA ’s art as “a river … growing in stature as it glides towards the estuary of the present. It connects to the history of the world’s art just as rivers inevitably connect to the great oceans of our planet.” This analogy is a useful one as it allows that the process of navigating and mapping our country’s art history will neglect some minor tributaries and, ultimately, will be unable to trace the major waterways to their sources. Nonetheless, although he emphasizes “there are plural narratives of art history” and that “all history remains incomplete”, Jantjes does delimit the project within the confines of the nation and national culture. According to this logic, those artists who rejected the politics of the national — who did not wish to see their art as articulating “moments in the life of a nation” — could not and did not “become actors in the making of history”. There is a teleological bent to any construction of South African history according to “the politics of national liberation”: as Jantjes affirms, artists who held “a critical light up to their nation’s moral potential” created works that are now “testimony to historical progress”. The multiple perspectives offered by the contributors (and by many of the works of the art reproduced on its pages) do, however, unsettle this framework. Moreover, the series presents many examples of artists who were not defined by their “context” and whose work disrupts the standard black/white narratives. In Volume One, which covers 1907-1948 — from the post-war detente between Briton and Boer to the National Party election victory that ushered in apartheid — this occurs, for instance, in intriguing visual pairings such as the twin landscapes by Moses Tladi and Gregoire Boonzaier. Volume Four, which covers the transition to democracy and beyond (1990-2007), has a foreword by Sarat Maharaj that complicates claims about “SA -in-the-world”, reminding readers (notwithstanding the country’s isolation for so long ) of the “runaway translation, cultural swap, pidginisation” and “dirty cosmopolitanism” that has long defined this part of the world. In the same volume, however, Jantjes rightly exposes the “masks and myths of globalism”; his perspective as an inside-outsider (he has been based in Europe for more than 30 years ) is valuable in this regard. This is, then, a polyvocal history. It was evident at the launch events in Johannesburg and Cape Town last year that there is a healthy disagreement between contributors to Visual Century on how to approach race, medium, ideology and any number of contentious issues that arise in writing about art in/and SA. The series manages to be both comprehensive and contradictory, and the editors (Jillian Carman, Lize van Robbroeck, Mario Pissarra, Thembinkosi Goniwe and Mandisi Majavu) have corralled diverse opinions within its four volumes. Detailed, dense and beautifully presented, Visual Century is more than an account of the material circumstances under which our artists have worked for the past 100 years. In its own appealing materiality, it makes a significant contribution both to South African art history and to the value of the book in this country. Courtesy of collegeart.comArt historian Linda Weinberg Nochlin ’51, pictured above, is this year’s recipient of the Alumnae and Alumni of Vassar College’s Distinguished Achievement Award. Linda Weinberg Nochlin ’51 may very well be the single most renowned female art historian in academia today. It should come as no surprise, then, that Nochlin is this year’s recipient of the Alumnae and Alumni of Vassar College’s (AAVC) Distinguished Achievement Award. Nochlin will return to Vassar on Feb. 9 to deliver a talk entitled “Gericault’s London: Representing Misery after the Industrial Revolution?” She will receive AAVC’s award the following day. After graduating from Vassar in 1951 with a degree in philosophy, Nochlin attended Columbia University, where she received her Master of Arts in English, followed by New York University’s Institute of Fine Arts, where she wrote a dissertation on Gustave Courbet, a 19th Century French painter who is synonymous with the Realist art movement. Nochlin received her Ph.D in 1963 and returned to her alma mater that same year, as an assistant professor of art history. Nochlin taught at Vassar between 1952 and 1980, eventually serving as the Mary Conover Mellon Professor of Art History. Nochlin is currently the Lila Acheson Wallace Professor of Modern Art at the Institute of Fine Arts, New York University. She has taught at Yale University and at the City University of New York, and has written numerous articles and books, including Representing Women; The Body in Pieces; Women, Art, and Power and Other Essays; and The Politics of Vision. She is perhaps most well known for her groundbreaking essay, “Why Have There Been No Great Women Artists?” First published in a 1971 issue of ARTnews Magazine, the essay questions why there were no women equivalents for the great men artists like, say, Michelangelo, Rembrandt, Cézanne, Picasso, Matisse or de Kooning. Nochlin argued that the “elitist” structures on which art history is based had systematically excluded women artists, and that social and academic constraints had discouraged women’s pursuit of art-making. The essay dared to challenge both the chauvinistic notions of the male-dominated art world as well as emerging feminist viewpoints. Nochlin was a part of a growing movement of feminist scholarship in academia that newly reassessed the role of women in fields within the visual and performing arts. Like Nochlin, Kuretsky also graduated from Vassar. Kuretsky went to Harvard, and obtained a Master’s and P.h.D in art history. She then returned to her alma mater to teach art history in 1975. Kuretsky at this point became one of the colleagues of Nochlin—the very woman who once taught Kuretsky while she was still an undergraduate student. “Linda was an extremely impressive and inspiring colleague when I came back to teach at Vassar,” Kurestky wrote. “I remember vividly her dazzling lectures in Art 105, Northern Painting and in 19th- and 20th-Century art.” It was one of the first undergraduate art history courses devoted to the study of women in art. Nochlin also mentioned in the interview just how lucky she felt to be a student at Vassar, in light of the school’s commitment to women’s education. “I saw that women could be brilliant thinkers and hard-working thinkers and devoted, serious thinkers. And I liked that. I felt at ease, and comfortable,” she said. Throughout her career, Nochlin has been the recipient of many honors and awards, including Guggenheim and National Endowment for the Humanities fellowships. Her presence at Vassar will surely resonate with students and faculty alike. “She really is a dazzler!” Kurtesky concluded. Sinclair Bell, assistant professor of art history, has co-edited a volume on freed slaves in ancient Rome that was published this week. “Free at Last! 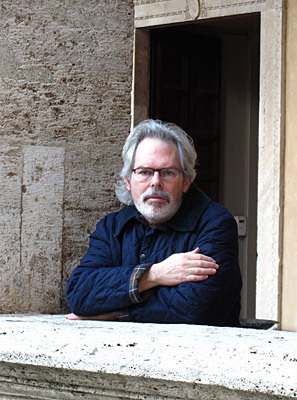 The Impact of Freed Slaves on the Roman Empire,” which he co-edited with Teresa Ramsby, was published by Bloomsbury Press in London, and will become available in the United States next month. 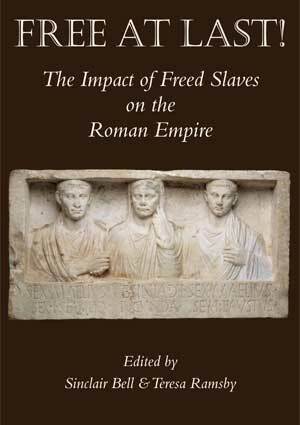 The book builds on recent dynamic work on Roman freedmen. Contributors draw upon a rich and varied body of evidence – visual, literary, epigraphic and archaeological – to elucidate the impact of freed slaves on Roman society and culture amid the shadow of their former servitude. The contributions span the period between the first century BCE and the early third century CE and survey the territories of the Roman Republic and Empire, while focusing on Italy and Rome. Advance notice of the book has been highly positive. This is Bell’s fifth edited volume and his third book since arriving at NIU in 2008.